This week was a lighter week for our True North team, as we gave a lot of the horses a few days off, but that didn't make it any less of a great week! Thanks to Fine Art Horses for always being there to beautifully capture the moment! Katie Hawkins and Gray Street had an awesome week, finishing second and fifth over fences in the Adult Amateur 18-35 Hunters. Caitlyn Shiels and Cakewalk finished sixth in the $5,000 USHJA National Hunter Derby. 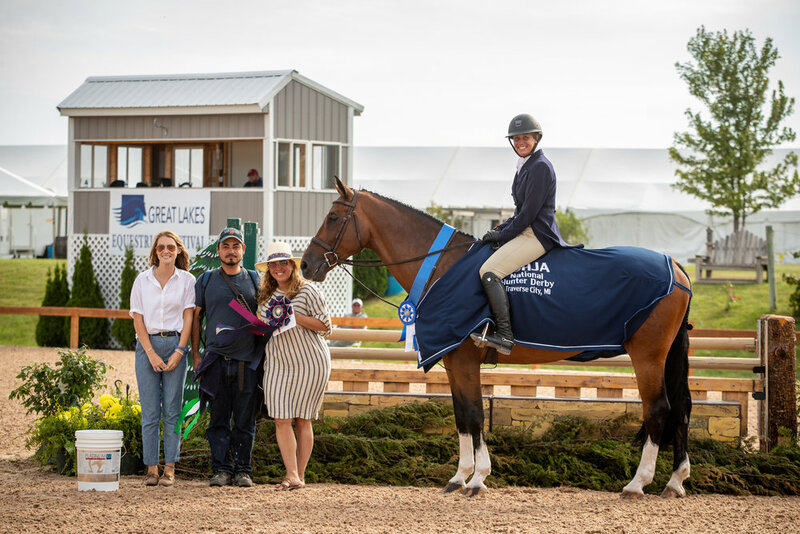 Caitlyn Shiels and Michelle Durpetti's Cassius WON the $5,000 USHJA National Hunter Derby! Thank you Alonso for all that you do as part of the True North team! Katie Hawkins and Gray Street put in their personal best score in the $800 Adult Amateur Classic to finish sixth out of 27 entries! Michelle Durpetti and Lucca finished in the top six of all of their 3'6" Amateur-Owner Hunter over fences classes. A great end to another great week!